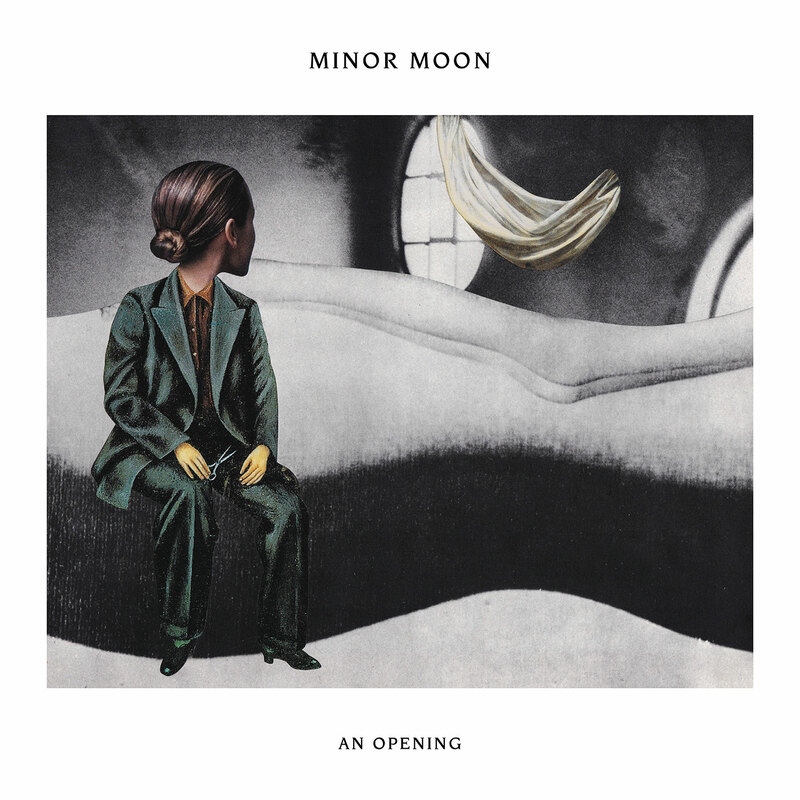 Brimming with lush soundscapes, Minor Moon’s debut album ‘An Opening’ delivers a hugely personal and reassuringly universal message. Ever find yourself riddled with religious doubt, crippling cynicism, and politically-induced existential dread while playing songs to a room full of children hopped up on birthday cake? 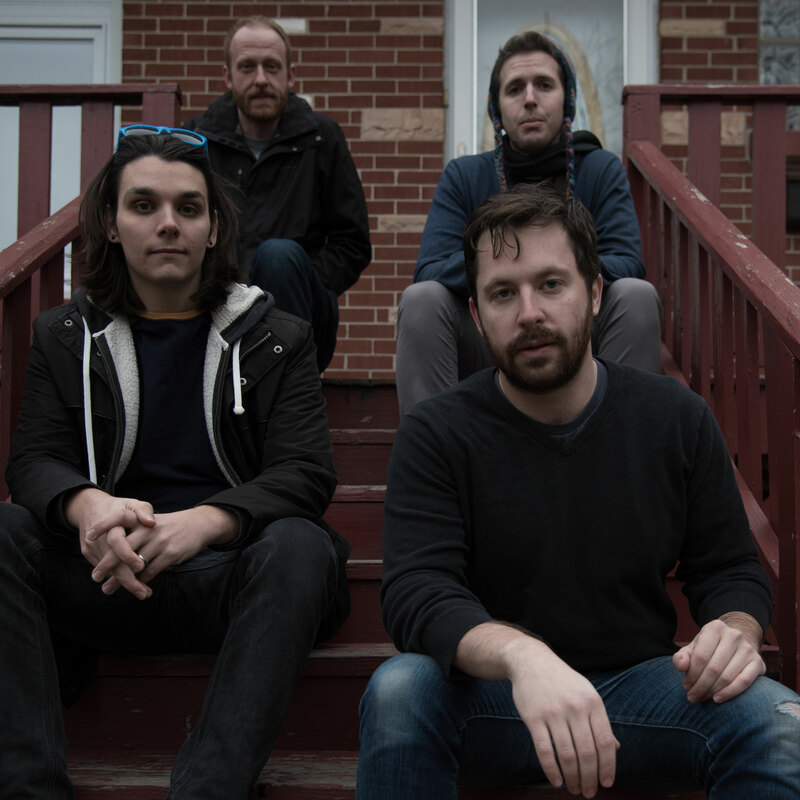 While surely not a common experience, it’s one that led Chicago’s Sam Cantor to write the incredibly relatable An Opening with his band Minor Moon. It’s an album that explores the effects that history, hope, and despair has on us, told through Cantor’s personal experiences being Jewish, staving off becoming bitter, and being caught off guard by President Donald Trump’s election. Atwood Magazine is proud to be premiering Minor Moon’slatest album An Opening, out February 8th, via Midwest Action. Started in 2011 as the solo project of music teacher (slash occasional birthday party performer) Sam Cantor — then still in school — Minor Moon has been through many forms before landing in its current iteration. Having released an EP — What Our Enemies Know — in 2017 and touring extensively since, Cantor’s brooding lyrics and sunny, Americana melodies are finally starting to gain the traction he wanted when he was a university student organizing monthly house shows. And it’s easy to see why: The controlled, lush soundscapes are so easy to get lost within, while Cantor’s calming voice delivers a message both hugely personal and yet reassuringly universal. Described by Cantor via email as a record about “becoming, affirmation, disorientation, chaos, and calm; it’s about being the container of more than you can bear alone,” An Opening is essentially an album that deals in contrasts. From the soaring, rockiness of the triumphant “Sacrificial Animal” to the pondering beauty of “In the Park” to the extravagant experimentation of “When You Notice (A Little Light),” it’s clear this is an album with a lot of layers. It’s also an album with a lot of patience. It’s willing to sit in a moment for however long it takes to set the mood of the song, and this ability to wait really helps the songs build to a satisfying crescendo. In each of these instances you catch a different influence: Grizzly Bear during the upbeat moments, Mumford & Sons during the folk-infused harmonies, Neil Young during the slow ponderings, and Wilco all the time. Being able to mix these different styles into one consistent sound is striking, yet it appears effortless for the Chicago quartet, which is rounded out by Michael Downing, Colin Drozdoff, and Nathan Bojko. Complete with a reference to Minor Moon’s 2014 Faultlines EP, this poetically lays bare our decision to wither or change: “This song tries to suggest that the personal, the political and the spiritual are all realms where we have the capacity to change, to find an opening into a new way of being, to become,” Cantor says. 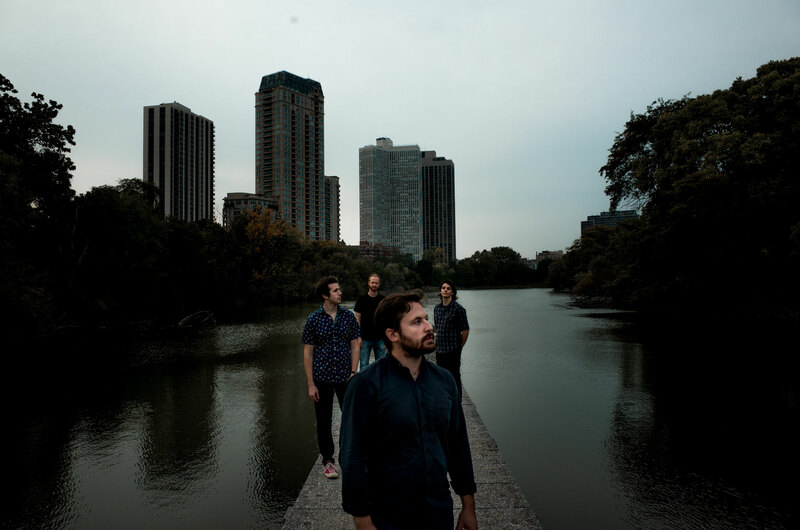 Experience the full record via our exclusive stream, and peek inside Minor Moon’s An Opening with Atwood Magazine as Sam Cantor goes track-by-track through the music and lyrics of this debut album! This song is a collection of musical ideas and lyrical imagery that sort of make up a big soup of sound and language. The pieces are tied together in a way that is not really for me to explain, but they open the record as a kind of wobbly mission statement: this is record is about becoming, affirmation, disorientation, chaos, and calm; it’s about being the container of more than you can bear alone. This song owes more to my American Jewish upbringing more than anything else I’ve written. Inspired by feelings of alienation and anxiety in relation to religion, spirituality, secularism and late capitalism, this is kind of a fever dream jam in the key of privileged Millennial American Jew. Enjoy! Music can have such a meditative quality, and I’m often seeking that out when I’m playing for myself, whether that’s actively writing or just messing around and improvising. This song is a musical meditation that gathered enough momentum to get its own words, which themselves are a kind of a daydream about ephemerality with references to other parts of the album (see: The Mark). I really do remember that at the time of writing I was recalling a specific and very pleasant visit to a park when I wrote this, but I can’t remember that visit anymore. This song is pretty much about my experience with writing and creative inspiration. If I sound mad, or like I’m trying a little too hard while I’m singing that chorus, it’s because that’s just kind of how it happens for me sometimes. My process is very tedious, repetitive, frustrated, prone to distraction, sometimes wonderfully exciting and often uncertain and then the thing is – miraculously – done. I was messing around with the main riff in this song late 2016 when the presidential election happened. I was very consumed by it, and I was one of the many people who was very, very surprised by the outcome. There was so much I felt like I didn’t understand, and so much I was growing very anxious about. Growing up, the rise of fascism in Europe in the 20th century was something that came up over and over. All of my extended family that I know of came to the US from Eastern Europe and Russia well before WWII, but as Jews it’s just a topic that would come up all of the time: that turn in politics from normal to abnormal to unthinkable. Regardless of the accuracy of that historical narrative that I learned then, and what it might mean for me and the people that I love and the country as a whole now, it definitely animated my emotional response to politics at the time. With all of that as context, I was thinking about how hope works, and the double-edged nature of imagination — how it works for us and against us. Also, the back half of the tune is my favorite instrumental section of the record. With all of that lyric content swirling around, it’s intended to feel like an abrupt shift to something kind of grandiose and cinematic. I have always had a lot of trouble controlling my own attention, and I tend to think a lot about how valuable attention is. I am often painfully aware of how my mind is constantly being pulled in a million directions. I don’t think that this is trivial at all and I know that for me, being tied to my phone is a huge obstacle to living the life I want to live, both internally and externally. This is a song about that. Thinking so much about technological, economic and political forces beyond our control gets exhausting and depressing and, for me, can lead to cynicism and a sense of hopelessness. Now, I do have hope about those bigger things too, but it’s abstract, and sometimes I let that dark outlook get the best of me. I pay the rent now teaching and sometimes performing music to children, most of whom are very young. It’s incredible work, and it keeps me sane in many ways, and I think the spiritual experience of being around a child, and being able to interact with them in a joyful way, is the best antidote to the kind of blues I get when I’m thinking about the world in big strokes. It matters that we are here, it matters that we have to struggle, it matters that there is joy and hope, just as it matters that there are big dark things too. Making music with kids teaches me that over and over again. These two people I know got divorced recently and it was a big surprise to me and to many folks who were close to them. I had always looked up to them and I kind of idealized their life and relationship from afar. This is a song vaguely inspired by that, about how two individual people change, sometimes radically, over the course of a long relationship and what to do with all of the conflict that often arises from it. We are all marked by the history we inherit. It doesn’t completely define us, but we can never escape the fact that it shapes us. This is a song about that, and also about listening to Wilco in the car late at night. As you might have noticed, this is the title track of the album. I think in a very general sense, this whole album is about finding openings out of something you want to change. It’s about seeing the process of change as figuratively stepping through a gateway from one space into another. And this song tries to suggest that the personal, the political and the spiritual are all realms where we have the capacity to change, to find an opening into a new way of being, to become.